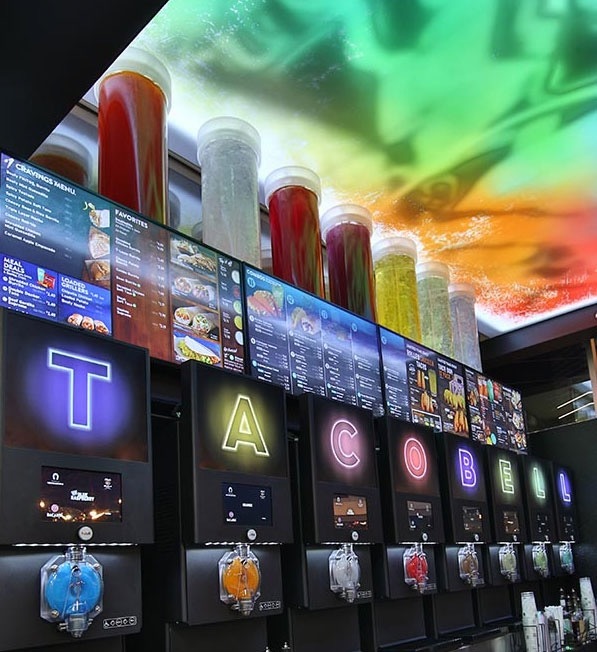 The concept offers a unique customer experience to Taco Bell fans. 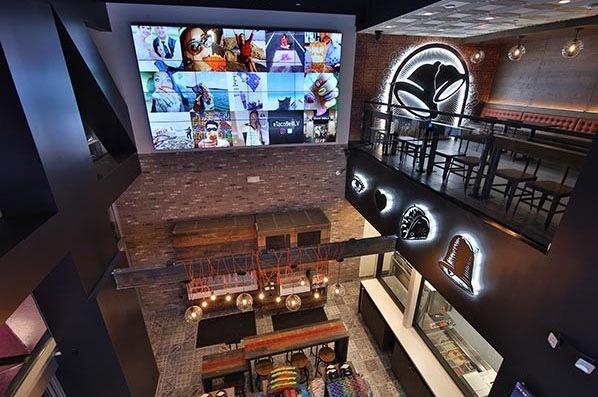 They won’t find the typical Taco Bell design but an urban, industrial space that includes rich wood tables and chairs with high ceilings, and a large digital board that mixes video programming with customers’ social media posts. 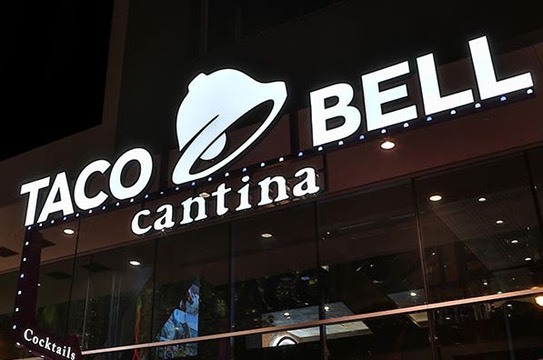 Cantina serves anything you can get at a regular Taco Bell, including the chain’s relatively new breakfast items. But there are unique items designed for sharing and lingering: cheesy bacon jalapeno dippers, mini quesadilla nachos and chili cheese-smothered potatoes. Draft beers are offered as well as their “Twisted Freezes” – an alcoholic “slushy” beverage in a variety of flavors and mixes.